“I really miss the excitement of arcades and the frantic continue systems. Timer counting down and looking beat up, rummaging through my pockets for another 50 pence piece only to find the counter has reached zero. That’s right kids, IT’S A BAD METAPHOR FOR LIFE. But in all seriousness, I love the feeling of arcades. While the other kids were out playing in the sunshine, I was in an arcade surrounded by smokey gamblers wasting loads of money every Saturday. I was inspired to do this from my very own 404 error page. The Street Fighter 2 continue screen is truly a classic and I wanted to capture that here. 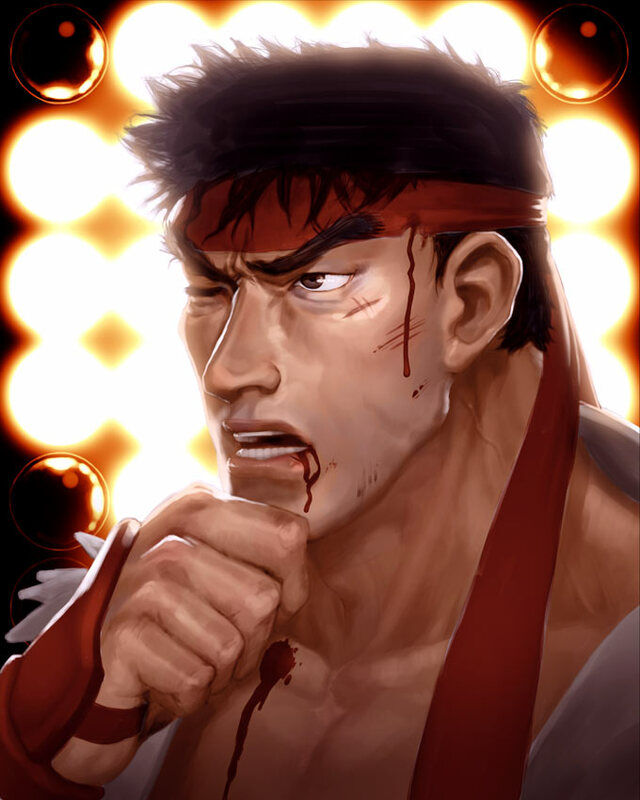 I also wanted to make my own take of Ryu (again) looking more Japanese (again).